As I get ready to go to IBM Insight next week it occurred to me that it's good timing to talk about a question that I've gotten recently. Specifically, some colleagues have been asking about a way to take notes while traveling for a customer meeting or industry conference. The way I do it is with the IBM Connections iPad app. In the demo below, you'll see how to start creating a note from scratch. One of my favorite capabilities is that you can co-edit with multiple people at the same time. So imagine going to a conference and you and other colleagues at all taking notes in the same place without overwriting each other. Perhaps one of you is taking pictures during the keynote and adding them to the note, while the other is writing down key bullet points. Once you are done, you can publish the note and make it available to other colleagues in the organization that perhaps couldn't travel to your meeting. Because this is all done inside the Connections app, the document security is kept and you don't need to take it out to another editor, and then bring it back. So what do you need to make this happen? Whether you are a cloud or on-prem customer all you need is the latest version of our free iPad mobile app plus the IBM Docs add-on. 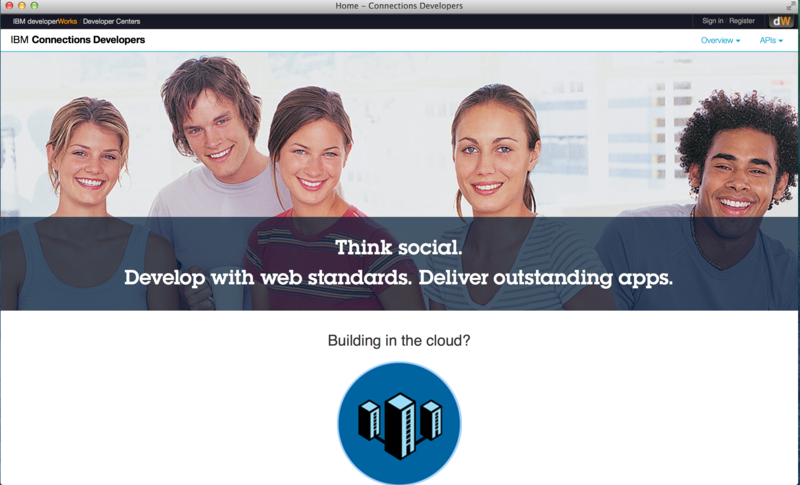 If you want to start playing with this, you can start a free 60 day trial of IBM Connections Social Cloud today! I've been getting some questions recently on how to move from Jive (or other tools) to IBM Connections. To that end, I wanted to highlight our automated migration tools that we can use to move people, content and places from your existing solution into IBM Connections. 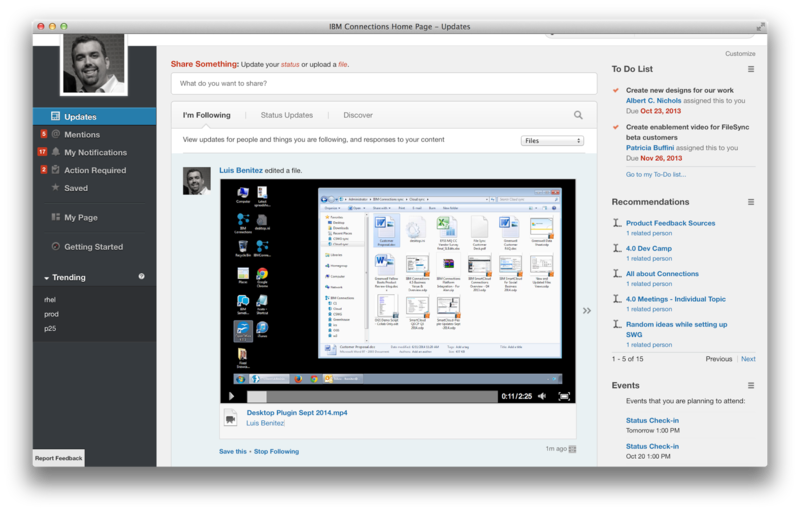 Back in June of this year we had a webinar to announce these new automated tools to help customers move from Jive, SharePoint and others in to IBM Connections. You can watch the replay here to get all the details. Here's a quick summary of the process (again, for all the gory details, check out the webinar above). The first step is to extract all content from Jive using an offline copy to ensure that there's no impact to current content in Jive places. Next, the content is transformed and we've created a special set of transformation rules to accelerate this. Once extracted, all the Jive content is then mapped to IBM Connections. Once all the content has been extracted and transformed, the final step is to load the information into IBM Connections and this is done using the public IBM Connections APIs. Want to learn more? Go ahead and register for IBM ConnectED 2015 today! To get started, we recommend customers schedule a free Move To Connections workshop. Now, this is HUGE! Today Hootsuite has announced their new capabilities now with added support for IBM Connections Social Cloud. Check out their announcement here. The IBM Connections app for Hootsuite is now available in the Hootsuite App Directory. Engage with IBM Connections communities and content in Hootsuite alongside social network streams for Twitter, Facebook, LinkedIn, Google+ and more. Post new updates and comments to IBM Connections communities, and search for content across all of your communities from within Hootsuite. Customer Support - imagine a customer support agent gets a Tweet and don't know how to resolve. They can take that and share it with their colleagues via Connections to work on an answer. As you can see, the possibilities are endless. The next capability is being able to use Hootsuite as your IBM Connections dashboard. Users may be participating already in 10-20 communities, and instead of manually keeping track of all these communities (via different browser tabs for example), they can use Hootsuite to bring it all together seamlessly into 1 single place. "We are very excited about the launch of the Hootsuite integration with IBM," said Sandy Carter, General Manager of IBM Ecosystem Development. "With the general availability of the Hootsuite App for IBM Connections - whether in the cloud or on-premises - our joint customers now have the ability to engage with their IBM Connections streams from within the Hootsuite dashboard. 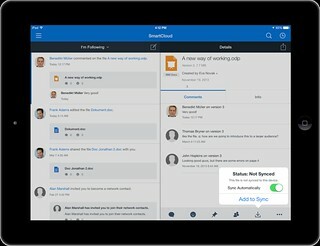 This level of integration and efficiency is unique to our relationship and will allow companies to work more effectively by bringing internal and external social content, thought leadership, and customer voices into a single centralized dashboard -- making it incredibly easy to collaborate and share intelligence within the enterprise and across departmental silos, connecting individuals in every team with the ideas and people that matter." 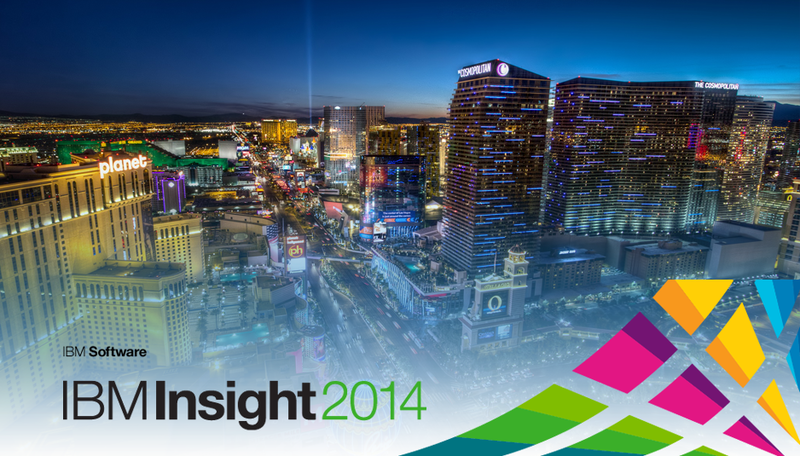 IBM Insight is now two weeks away. I'll have the opportunity to go this year and update the audience on IBM Connections and what we are doing there when it comes to the combination of content management + team collaboration. This year, I'll be co-presenting with my colleague, Firas Yasin, one of our social business advocates and an expert when it comes to adoption, business value and content management. And don't forget, ex-MythBusters Grant Imahara will be there and you definitely don't want to miss that one! If you are going to the conference, let me know so we can get together. See you there! Last week I had the opportunity to try out Google Hangout On Air. It's been something that I've wanted to try for a while and with the latest cloud release of IBM Connections last week, it would be a good time to try it out. Joining me is Luis Suarez (no, not the guy who bites), an independent social business advisor and Simon Vaughan, an IBM Champion and one of the organizers of Social Connections, the IBM Connections User Group. The whole thing was very informal, and again, it's something that I did to play with the concept and understand what's possible and what's not, while at the same time having a great conversation with subject matter experts on the other side of the ocean. The result? I have to say I really enjoyed the conversation (it's all about my favorite topics so what's not to like!) and got me wondering if something like this is something that we should try to do on a regular basis (perhaps as a complement to 5 minute tips on IBM Connections). What do you think ? Is this something that we should do more of ? Tell me what you think! About two weeks ago, I was asked to present to a group of internal IBMers tips and tricks to get the most out of IBM Connections, our social collaboration platform. I actually reached out to my internal network and asked for suggestions on a good topic. Quickly, I realized that everyone had their own favorite feature or aspect of the product. That got me thinking that maybe it's worth me putting together a quick presentation that shows people how I get the most out of the product to improve my productivity. Then it got hard. How could I pick just a handful of things where IBM Connections makes my life easier ? I had to iterate a couple of times. In the end I decided that a good way to format it would be to focus on 5 integration aspects that maximize the value I get out of the product. Do these match what you would've presented? Re-sharing the news from Brian O'Neill, IBM Champion and IBM Connections user. Social Connections, the IBM Connections user group, will have their 7th event this November 13th-14th in beautiful Stockholm, Sweden. With a focus on IBM Connections and Social Business, this is a first-class event for the user community. If you are working with IBM Connections, I'd strongly recommend that you make every effort to attend! Social Connections VI - two days of epic Connections content and conversation from Social Connections on Vimeo. The agenda for the event was announced last week and you can get all the details here. Now that' you've watched the video and taken a look at the agenda, the next step is to register! Register for the next event! Oh and don't forget to follow the team on Twitter and like their page on Facebook to keep up with all the news about the event.